With strong interest in Iceland as a holiday destination from visitors all over the world, demand for holiday rentals has also increased. Ever more guests appreciate the quietness and comfort of a holiday home compared to other forms of accommodation. Now you can rent some of the numerous cottages offered in Iceland, for instance through our interesting concept “Roof ‘n Route”, instead just a room in a hotel or guesthouse. However, this vast demand for holiday homes for rent was not always the case here in Iceland. At the beginning of my career in Icelandic tourism, I was a tour guide at Ulfar Jacobsen’s highland tours: Iceland Safari. In 1983, tents were the standard accommodation on tours in the Icelandic highlands. At that time, bus trips were accompanied by a so-called “rolling kitchen”, taking care of the culinary side for the foreign travelers, and here were about 75,000 tourists a year that visited Iceland. In the years that followed, the number of visitors from abroad rose quite slowly. The growth rates in tourism in Iceland were barely able to keep up with the European average of about 4 – 5% yearly. Eventually the increasing prosperity in the Western World, and the opening of the borders to Eastern Europe, started to bring more visitors to Iceland. This resulted in about 8% increase per year at the beginning of this century. After some years of moderate growth rates in Icelandic tourism, the economic recession in the western world led to a dramatic slump in the Icelandic travel industry in 2008. At that point, the number of tourists was almost five hundred thousand per year, but declining. Iceland was probably hit hardest by this economic slump of all sovereign states. The Icelandic state was almost broke. This difficult situation made international headlines and brought the island in the North Atlantic into the limelight of public attention around the world. Even if they were negative headlines, Iceland with its few inhabitants appeared on the international map. 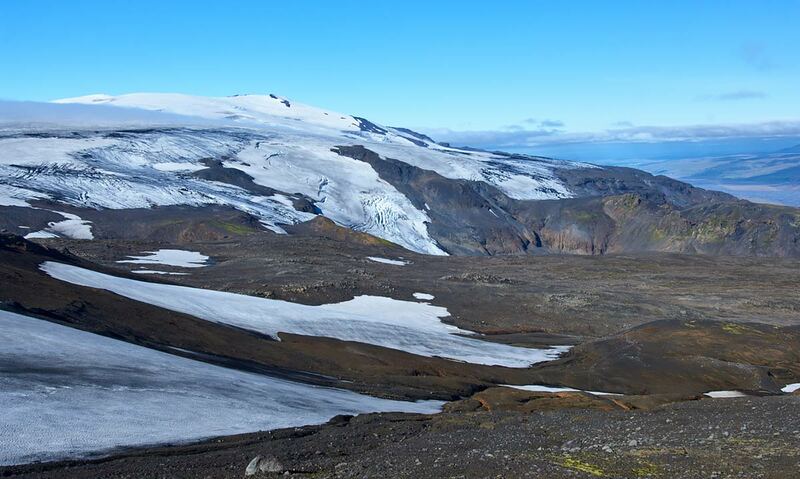 And then it hit the headlines again, this time not because of economic difficulties, but due to a huge natural spectacle: the volcanic eruption under the ice cover of Eyjafjallajökull glacier that in 2010 severely disrupted international air traffic for some weeks. The tongue twister was also simply called E-15, which was much easier to pronounce: an ‘E’ followed by 15 more letters. Volcanic eruption north of Bardarbunga, a few years after the eruption of the Eyjafjallajökull volcano. 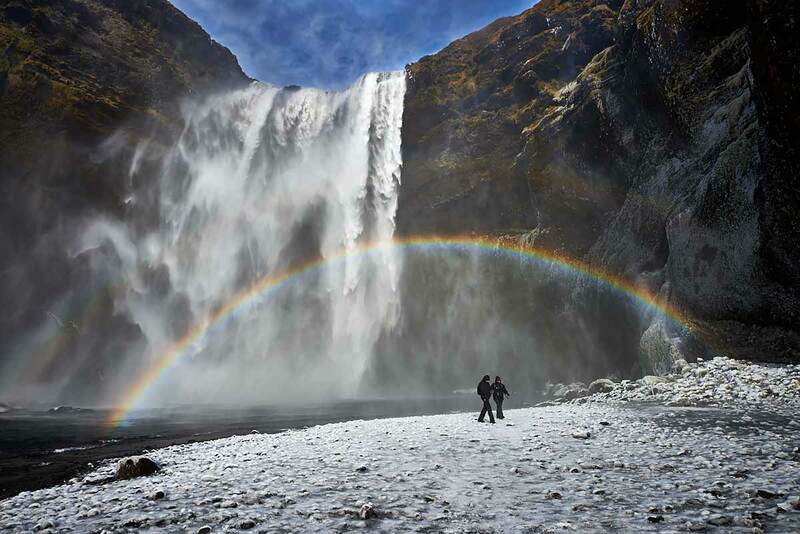 Rainbow at the Skogafoss waterfall in winter. The waterfall is located on the south side of the Eyjafallajökull glacier. Eyjafallajökull glacier. 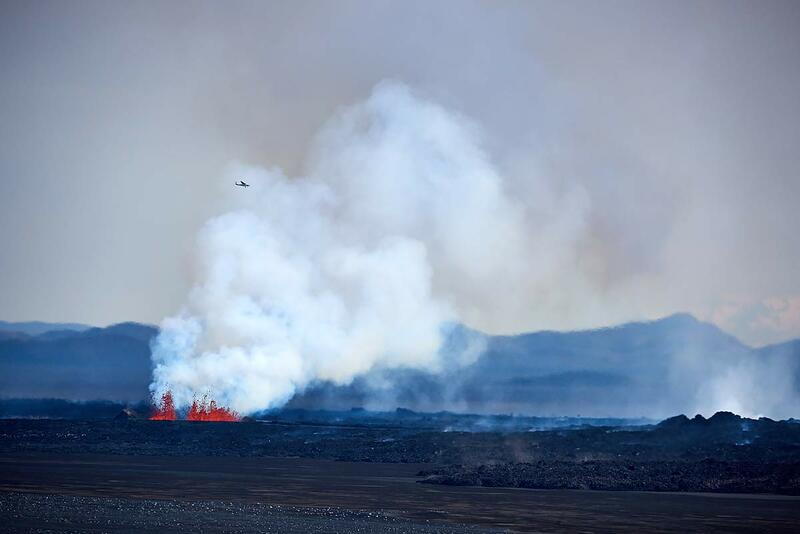 The volcanic eruption brought Iceland back into the international headlines. Since the volcanic eruption of Eyjafjallajökull, the number of foreign guests in Iceland has been increasing exponentially: from 8% to 15%, then to 20%, later to 25% and lastly to 30% per year! The reasons for this are certainly not the negative events of the past. Iceland is known as a coveted natural paradise with a large habitat for only 340,000 inhabitants. Especially many tourists come from the more densely populated countries and cities of Europe and the USA. The increasing environmental impact in many regions of the world is also making the country an increasingly popular destination for a break. Turn on Iceland! In addition to the great popularity of Iceland among guests from Europe and America, the number of visitors from East Asia also increased rapidly. This rapid growth in tourism in Iceland meant around 2.4 million travelers in 2017. About 2.8 million tourists are expected in 2018. Due to the rapid development, Iceland has hardly been able to follow with building of sufficient number of hotels or guesthouses. For this reason, many private accommodations have been converted or rededicated to guest rooms as quickly as possible, including those in the gold rush style. While guests from East Asia prefer the traditional hotel rooms, tourists from the western countries show themselves to be much more flexible in their choice of accommodation. They seem to prefer natural environment and they value privacy. Rentals with vacation cottages fulfil these requirements perfectly. 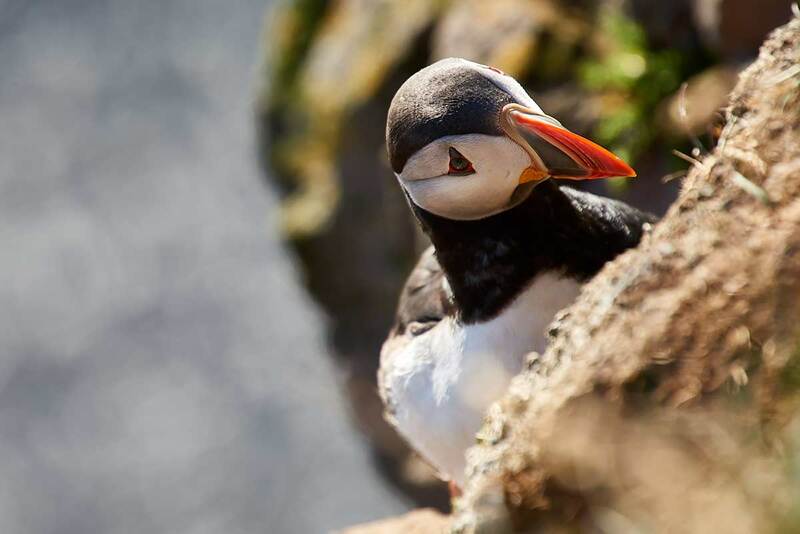 Puffins, the “clowns of the air” can be observed in summer when breeding. We at Nordic Lodges rent out our vacation rentals all year round. Our holiday homes Brekka and Langholt at the bay Hvalfjordur, which are only 50 km away from Reykjavik, are ideal for tourists who want to experience peace and quiet in winter or enjoy the northern lights. 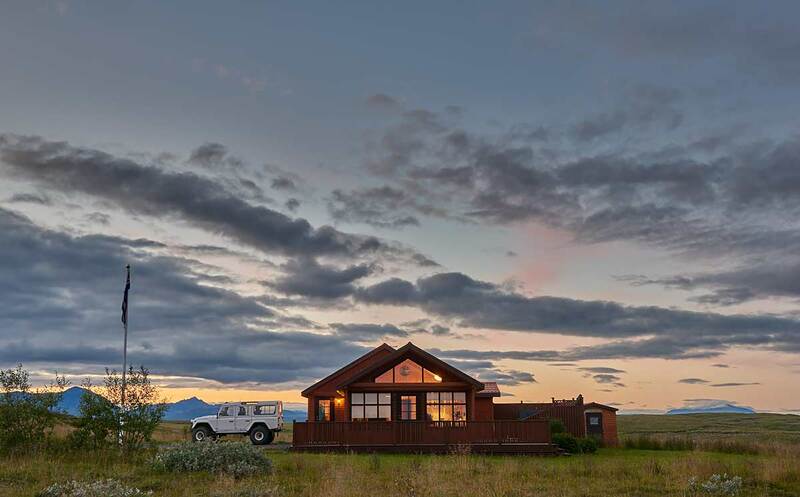 Holiday home Holt in the Golden Circle in the south of Iceland is only 80 km away from the capital and allows guests to reach some of the most spectacular natural attractions in the immediate vicinity. Our holiday home Hamragil in the north of Iceland is a good starting point for cross-country skiing and other winter sports. Or watch the Northern Lights while you relax in the own hotpot of the lodge. We have made every effort to equip our holiday homes in such a way that they meet and preferably exceed all the wishes and expectations of our guests. Almost all of our cottages have for instance their own hotpot. The above-average equipment of our cottages, with everything you need for a great holiday and stay in Iceland, is a matter of concern to us. In this way our holiday rentals offer an excellent alternative to other types of accommodation such as hotels, guesthouses, motorhomes, chalets or tents. Holiday home Holt in summer in the evening light. The cottage is located in the Golden Circle and offers a hot pot as well as a lot of privacy, peace and quietness. When selecting our houses, we pay particular importance to the location, sufficient space around the holiday rental and the view. With our concept “Roof ‘n Route”, you can explore interesting sights in different parts of Iceland during the day and enjoy the comfort of our houses when you are back. Or even just stay and enjoy being there.